This machine is suitable for molding and mixing rubber and plastics, especially for multi-kind and small-quantity production of small and medium-sized rubber factory and plastic factory. 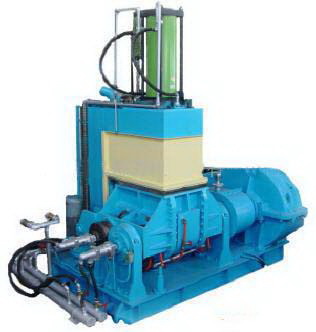 The pressurized rubber and plastics kneading machine mainly compose of mixing chamber 、front and rear rotor、 swaging equipment 、mixing chamber turnover device 、transmission、 heat and cooling system、 control system、 etc. Rotor edge peak build up welding cemented carbide. Internal surface of mixing chamber 、front and rear rotor all plated of hard chrome. So this machine can have long service life.